With the latest mass shooting at Parkland’s Stonemason Douglas High School in Florida, gun-grabbers are out in full-force, blaming the NRA, demonizing so-called “assault rifles,” and threatening to take away firearms from all law-abiding citizens. 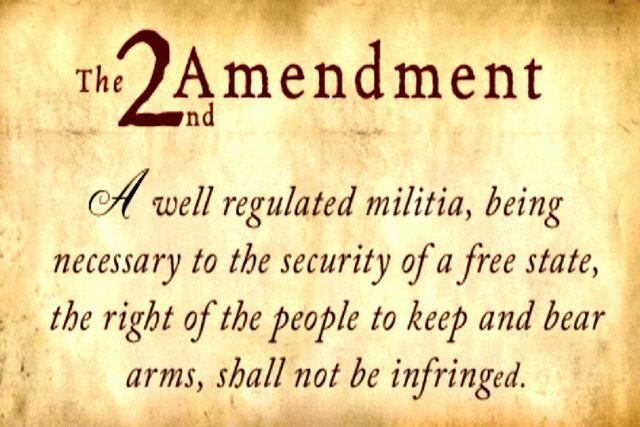 So, what does the Second Amendment really mean? Does an American citizen have a Constitutional right to own a gun? There seems to be some confusion whether or not gun ownership is a right for all Americans, or just for a small militia.